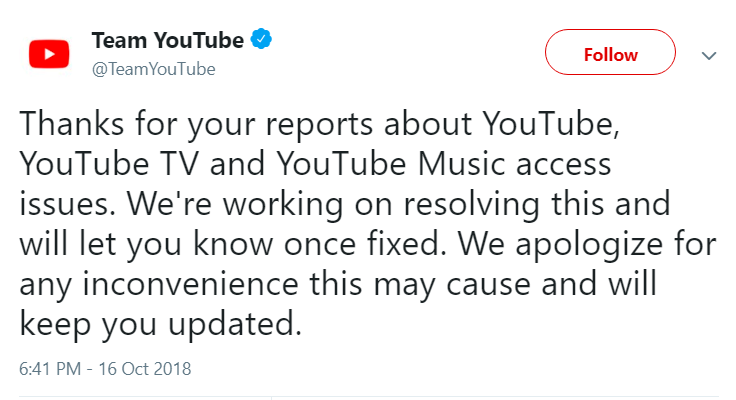 You may or may have not noticed, but YouTube is down and is not just you, it’s down around the world. There is no explanation so far for the reasons behind the popular video site to be down. 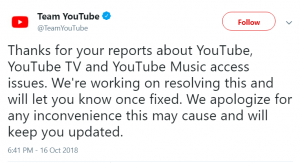 Apparently is not just YouTube but also YouTube TV, and YouTube Music have been affected.